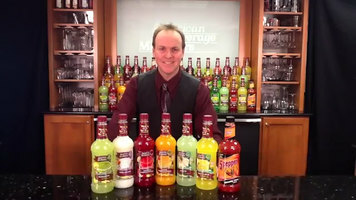 Introducing Master of Mixes, America's leading retail cocktail mix brand! Master of Mixes allows your customers the opportunity to make scratch-quality, authentic cocktails simply at home. Authentic cocktails feature select spirits and premium fruit. Authentic cocktails are also very personal, not poured from a ready-to-drink or pre-packaged bottle or pouch. Master of Mixes adds the perfect combination of sweetness and premium fruit from the world's finest growing regions to each one of its products. The rest is up to our customers. 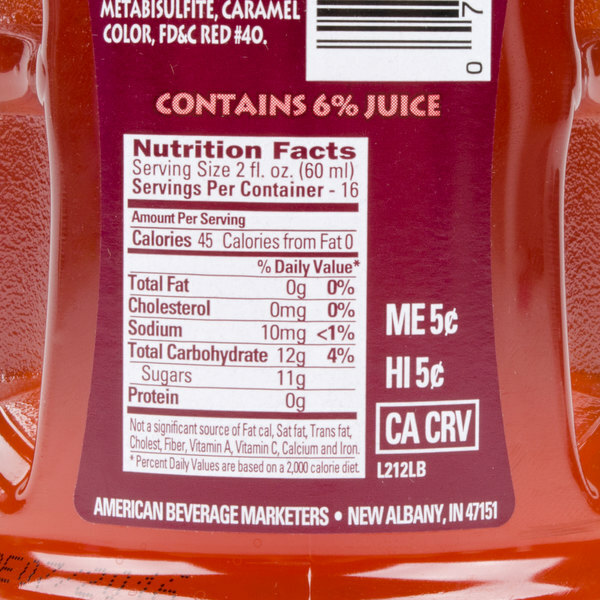 To get you started, we have printed a simple, one-step recipe on every bottle. The beautiful thing about Master of Mixes is that from there, there are no rules! The customer is in charge, becoming the bartender and exploring the various spirits and flavors you have to offer. 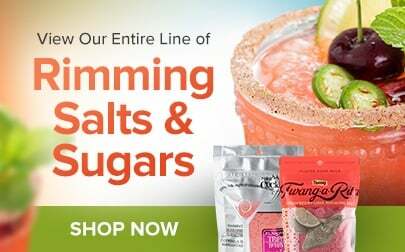 Use Master of Mixes cocktail mixes to create delicious, authentic cocktails at your restaurant or bar! Each bottle is prepared with the perfect combination of sweetness and premium fruit from the world's finest growing regions. Mix up cocktails with a from-scratch taste with the convenience of this Master of Mixes Old Fashioned drink mix! 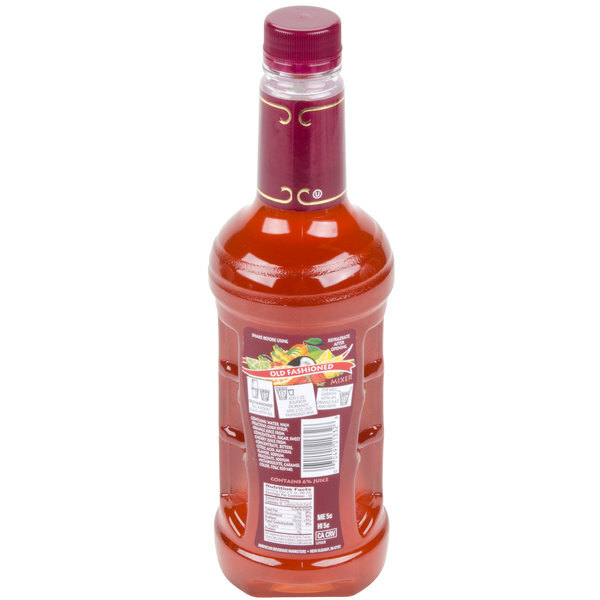 This premium mix uses fine ingredients and natural sweeteners for top-notch taste, bold color, and fantastic beverage presentation. 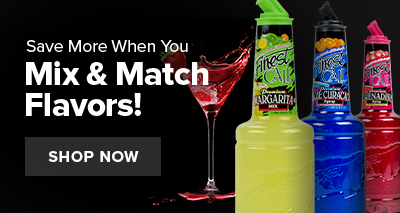 Using this drink mixer, you'll be able to concoct top-selling cocktails in just a few simple steps! To make a classic Old Fashioned cocktail, fill a rocks glass with ice. Add 3 oz. bourbon or brandy and 2 oz. drink mix, stir well, and garnish with an orange slice! Save time without sacrificing flavor with this Master of Mixes Old Fashioned drink mix! This rich blend of dark cherry juice, citrusy California orange juice, simple syrup, and a touch of natural aromatic bitters is sure to sooth customers after a long day. Developed during the 19th century, an Old Fashioned remains a classic cocktail with full-bodied cherry and orange flavor. It is recommended to shake this Old Fashioned mix well before using and refrigerate after opening. I am really big on old fashions and this mix is far from a high end cocktail. But it is enjoyable for being a out of the bottle mix. We actually ended up using this old fashioned drink mix a lot more often that we had thought that we would. It has made us some great drinks and it keeps the cost down too. A very popular drink at our bar and we love the ease and quality taste of the Master of Mixes old fashioned mix. Super easy to prepare and tastes so good. I make a great home made old fashioned cocktail but it is very time consuming. I tried this mix and was very impressed by its taste. I will be keeping this in stock. This is one of the best old fashioned drink mixes that I’ve ever come across. I served this to a person that drinks old fashioned all of the time and they couldn’t tell that it was from a mix. 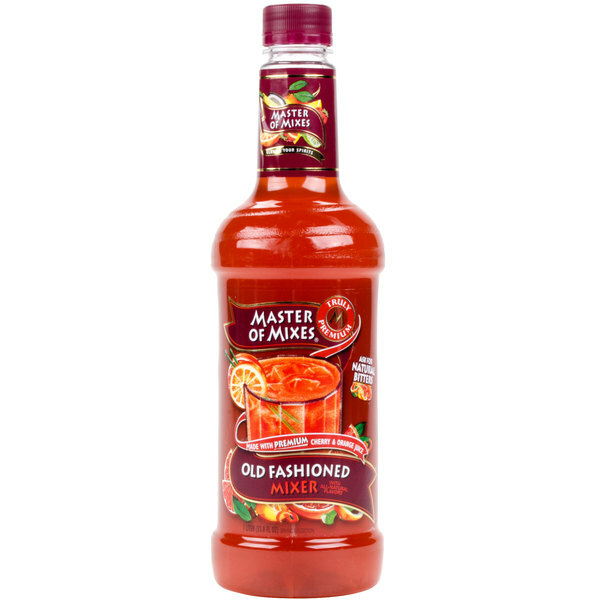 Master of Mixes Old Fashioned drink mix is super good and really captures the classic elegance of this iconic drink. A quick and easy to follow recipes that produces top notch drinks every time. A classic drink that is easy to recreate using this master of mixes drink mix. The mix is tasty and really captures the true flavor of a classic old fashioned. Talk about an amazing old fashioned drink - made easy by this mix. It saves our employees time and the customers love their old fashioned. This old fashion mix tastes good. I serve both whiskey and brand old fashions and they were a hit. Our guests said they were really good and this is set at a great price too! We did an Old Fashioned mix " taste test" comparing Master of Mixes to another brand mix and everyone liked the thicker, richer taste of the other brand. We appreciate your review, Holly! If you are looking for more information on the product you are purchasing, please contact our Customer Solutions team. This mix is great, the guests love it and it absolutely tastes great, we use this a lot and will definitely continue to purchase this for our café. This is definitely a great tasting good quality Old-fashioned pre-mix at a very reasonable price. One reason I was not enthusastic to cocktail was that it was quite messy to make a glass of cocktail from scratches. But Master of Mixes bottles make it really easy.